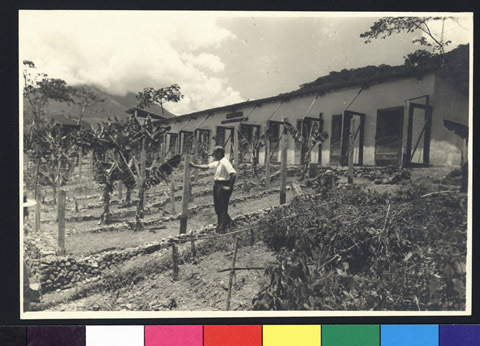 JDC - Archives : Large chicken house in the poultry farm on the Buena Tierra colony. Title Large chicken house in the poultry farm on the Buena Tierra colony. Description Large chicken house in the poultry farm on the Buena Tierra colony. Founded in April of 1940, the colony supported 42 families. Funding was provided by JDC and SOCOBO, the Sociedad Colonizadora de Bolivia La Paz, which helped organize agricultural settlements for refugees in Bolivia.